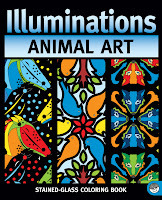 Toys As Tools Educational Toy Reviews: Review (+ Free Samples): Illuminations: Summer Sun Makes Indoor Fun? My kids hate coloring books. 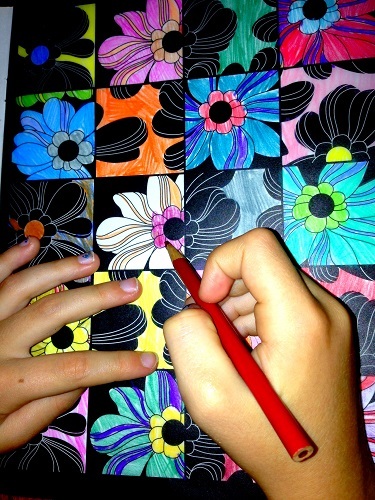 Coloring inside the lines is a wretched activity. It's really tiring too. All they'd have to do was take one look at the picture in a coloring book, and it would instantly overwhelm them. They couldn't even use markers (which are easier for them) because most coloring books are always on newsprint. Number 6 was so excited to start coloring. Seriously, these markers are under $6? And they are from Mindware? Crazy but TRUE! But then I stumbled upon even more complicated coloring pages and just fell in love. 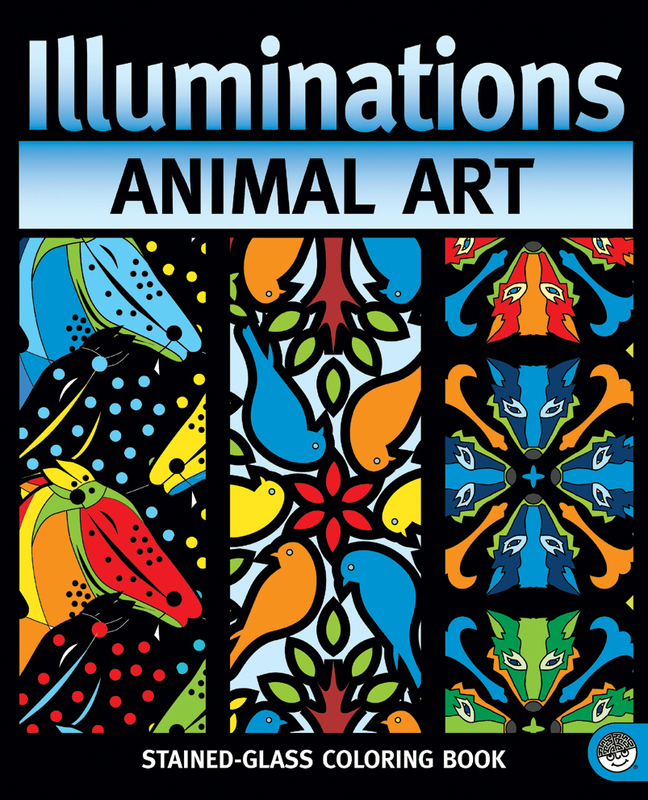 The images on these books are exciting to both children and adults. What was so special, you ask? 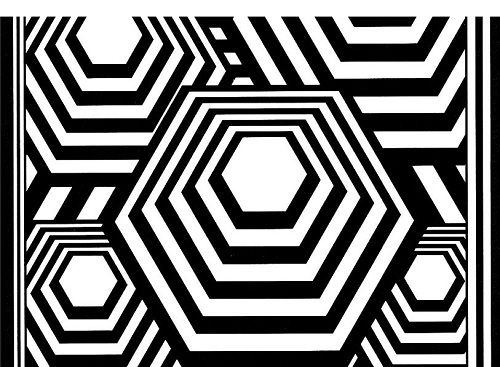 How about the fact that the designs are so beautiful, they don't even need any color! But seriously, I find that these books can be so useful in a family. Long ago, the Chinese named their country, "the Middle Kingdom" because they believed that the source of power always came from the center. I really like that and try to remember that telling my kids to calm down has a negative tone (at least in our family). Thus, I try my best to ask them to instead say, "Find your center." This means, "Center yourself, figure out where you are and what you're doing." When a person loses their center, they have lost their energy and have forgotten their purpose. I bought my first Mindware coloring book at Stationery Toy World, a store whose owner had lost so much of her personal belongings and her products (all those toys in storage- oy!) due to Hurricane Sandy. It was Neighborhood Toy Store Day and even though I don't have such a retailer in my neighborhood, I figured that there was no better day to get out and shop. There, I chose the Mindware coloring book mostly for my mom because I made her stay with me before, during, and after the hurricane and so she was likely feeling displaced after a week without her belongings. She loved her book and started coloring it right away. This one is one of the easier ones... I love that there are so many different designs to choose from. 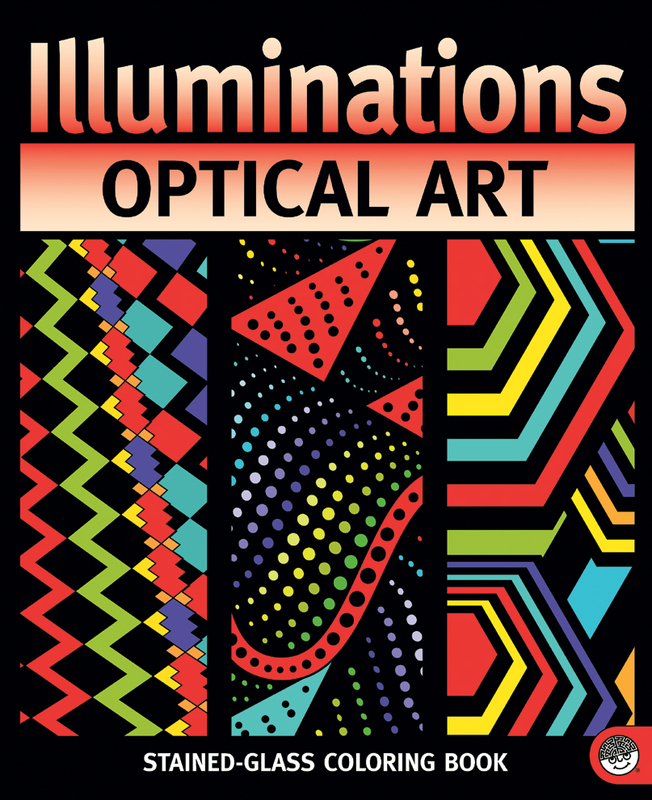 This one comes from the Optical Art book. My kids saw Grandma's coloring book and immediately dove right in and then soon found that their hands were tired. Even with smooth markers from Mindware, they became overwhelmed and had to stop BUT... I got smart. I looked through all of Mindware's selections and found the perfect coloring book for them. 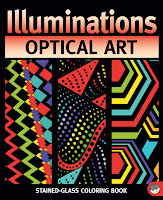 SEE-THROUGH coloring pages called Illuminations! 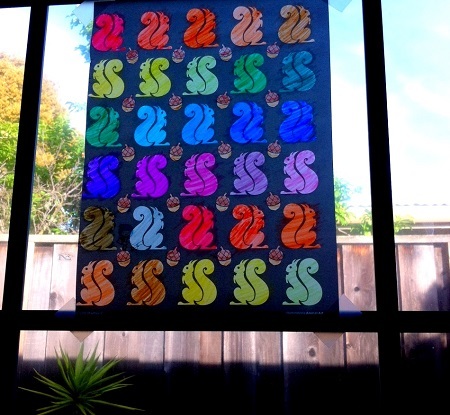 Color, and hold them up to the light, or tape it to the window! Moreover, many of the coloring pages have thick black borders and so for the fine motors who could be finer, these pages are perfect practice. The motivation is built-in. (Please be aware that some pages will still be hard and believe me, you won't want to give some of these pages to a six-year old unless you are prepared to help and modify whenever necessary. If you wanted, you could actually cut this one up and give it to them piecemeal to prevent feeling overwhelmed. It will still be beautiful. You can possible make a mobile out of it or hang it creatively in different parts of a window. This one was one of the easier ones which means you can take the time out to figure out which colors to choose. I like #6's choice in colors. Very cool. I like how she uses dark and light version of the same color. I think it took her 30 minutes to finish this page. It takes some thought to figure out how to express yourself here. 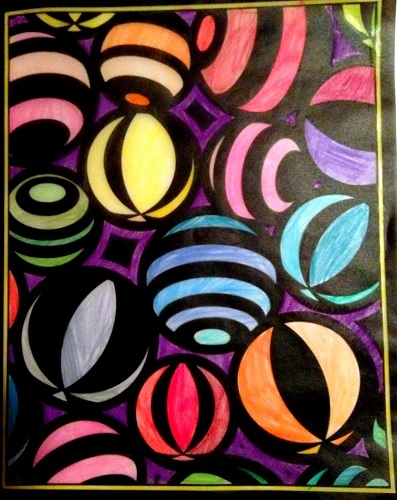 Within certain intelligence tests, such as the patterning sections, children are sometimes required to figure out what color something would be even though they can't see it. They must base their answers on logical and pattern thinking. 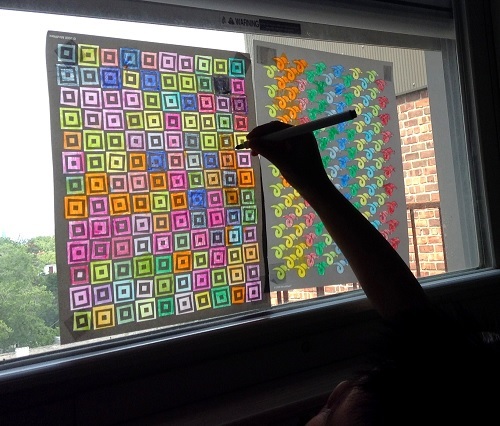 Learning by pattern is a great way to encourage thoughtful observation. 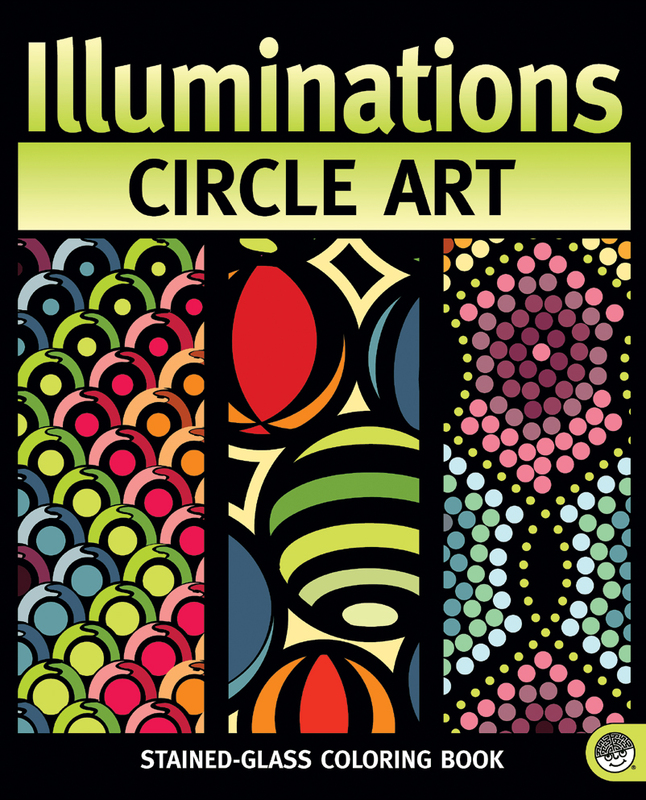 But here in Illuminations, the child is creating much of the pattern. That is NOT easy for some. I think part of it has to do with things that even adults struggle with- that is: Making a Decision. Teaching kids about patterns is really important. Learning how to follow a curvy line and determine what colors are there even if you can't see the whole picture is a really valuable skill. #5 did this one. How beautiful is this? So amazing. She actually has not hung up any pictures onto the window. She keeps it together in the book from which it came. Additionally, I honestly believe that the more skilled you are in pattern thinking, the more exposure you have had to complex patterns, especially visually-striking ones, the harder that this could be for you. These coloring books challenge your child's creativity because they must account for the whole picture and make a plan. The older they are, the more they know that picking random colors will not satisfy them. But again, the encouragement is there. 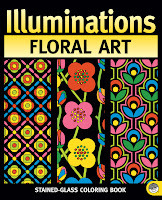 Remember, these are beautiful and they light up with the sun! Lastly, they are complex. 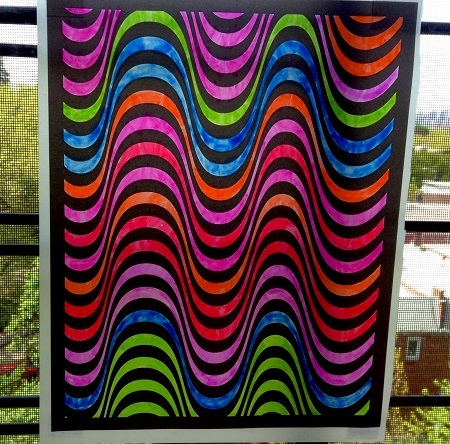 It can take you thirty minutes to color a page. So don't expect them to do two or three in a day. There are 16 pages in each book and some are harder than others and thus I can see someone keeping a couple of these books for a year to do the harder ones when the child is ready. For little ones, even doing half is good. Starting small can bring success. Faded a bit. So I can color it again! Thanks Summer Sun. 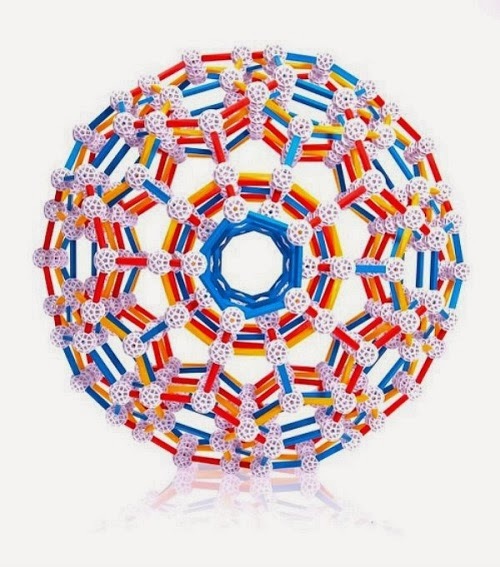 Reusable Summer Fun! 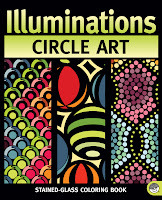 Print out a sample page from Optical Art Illuminations, Circle Art, Animal Art, Floral Art. Actually, Mindware books all have a sample page that you can download. I think that is so cool. Want to get it on Amazon? Use Amazon links to support Toys are Tools - or bookmark this link whenever you want to shop on Amazon to support me! Together we can continue thoughtful toy reviews to see another playful year! OH WAIT ONE MORE TIP: Do you take your kid to a big box toy store and feel disappointed but still you want to allow him to choose something? Do what I did! 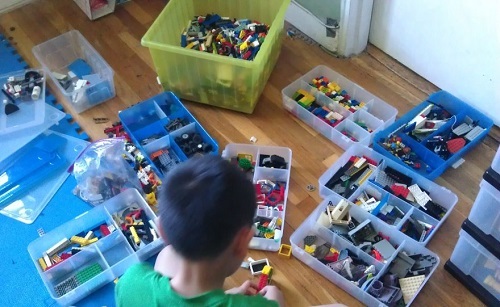 Go catalog shopping with your kid instead and prevent discord and promote educational toy happiness because everything in Mindware's catalog is awesome. See my story here or go to this site to request a free catalog mailed to you! Sign up for their mailing list and get the low-down on sales and low ship rate alerts! I love low-flat fee shipping. 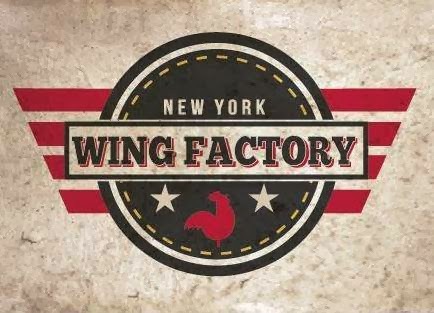 They just had one and I hope they do it again soon! Less computing to do in my head! 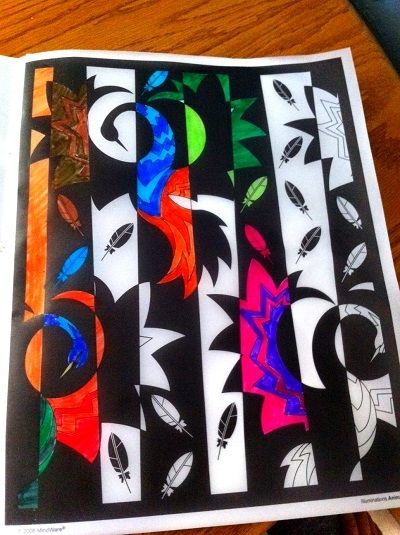 So I have to start off by saying that I LOVE to color. Well into my adulthood, my mom would still send me coloring books! There's something so relaxing about it for me. So I was disappointed when my son was not similarly inclined. He rarely colored at home as a child (although he would bring home colored pictures from aftercare). That changed last year, about mid-year when he discovered a roll of holiday coloring pages my mom sent him. He became OBSESSED with coloring these pictures. And his coloring was so beautiful we used them as Christmas decorations! That obsession has since passed. I bought him a Mindware coloring book (not one of the ones shown here) for Christmas and I don't think he has opened it. He has, however, loved the Mindware dot-to-dot book I also got. I will note that I learned about Mindware right here on Toys are Tools. LOVE their stuff! I still have hope for the coloring book we have. 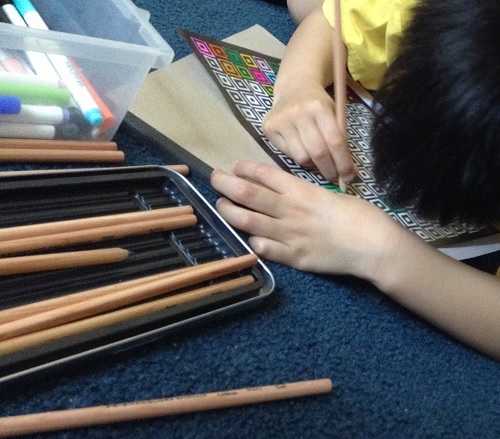 Knowing Dylan, he'll discover it in his room one day and suddenly want to color. I will be ready! Thanks for a great post, Jenn! Thanks for the kind words. How amazing is it that he can do the Dot to Dots!!! What's his secret? It must take forever to finish a page. Those look insane to me. Has he ever tried to make his own? I have always thought custom-ordering one would be really cool. I would love to see a photo of his work. Please feel free to send it to me, I'd love to post it on Facebook! He should be really proud!!!! 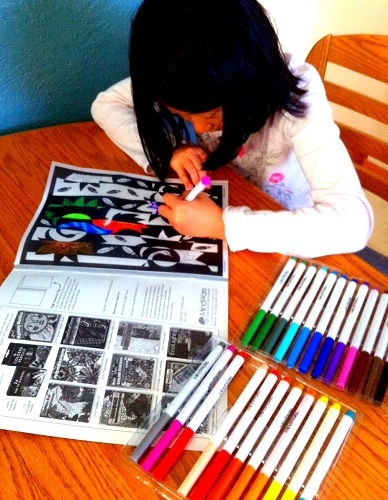 We absolutely LOVE both Mindware's coloring books and their markers! 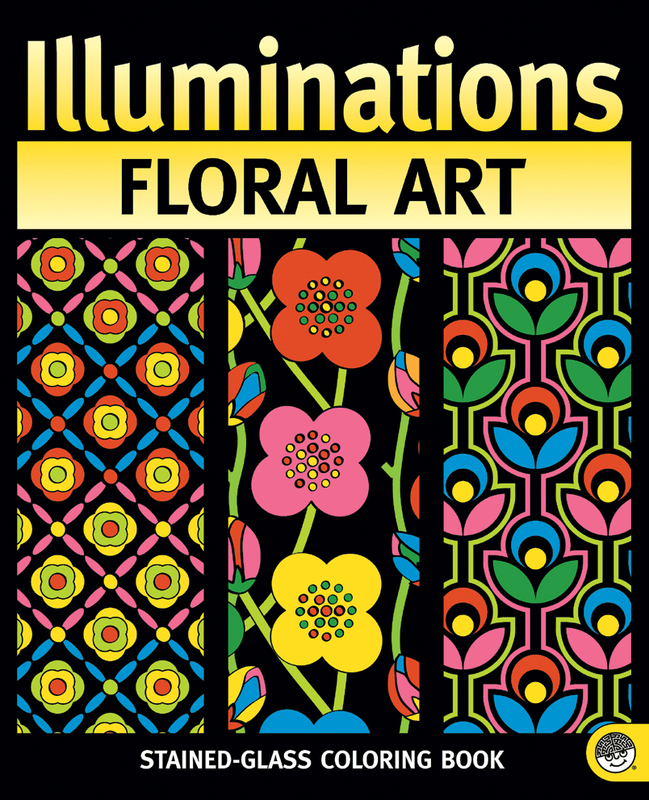 We don't have any of the Illuminations books though. I think I might have to get one of those next. I really love your idea of cutting the pages to make them smaller. My girls are almost 10 and 8 and they still get a bit overwhelmed with the books. They always are excited to start a page, but it's been rare that they have ever finished one. I have been known to "steal" their coloring books and color in them myself. 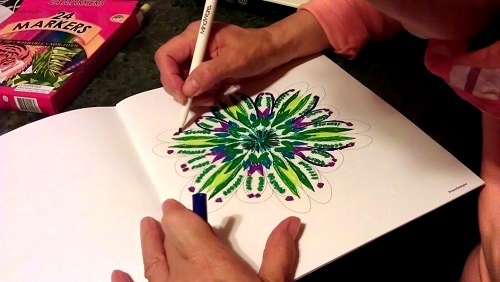 This Mother's Day they finally gave me my OWN Mindware coloring book. 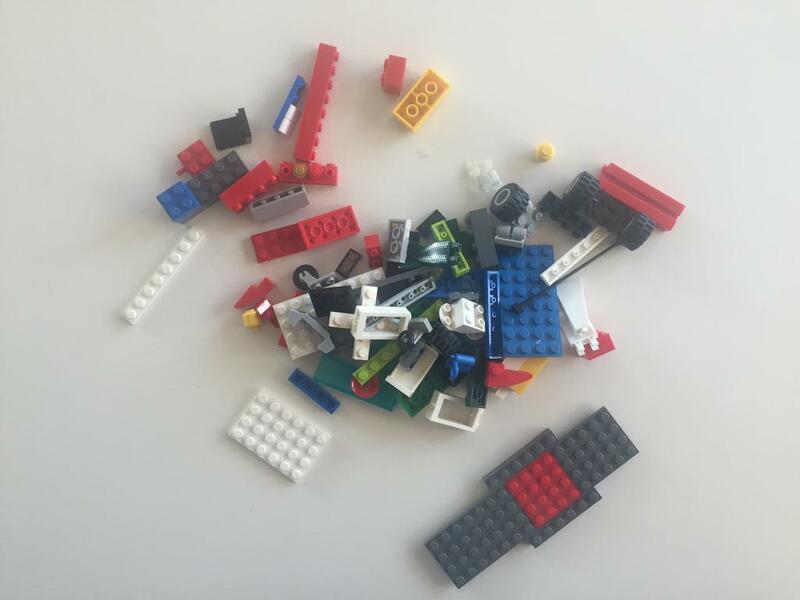 :-) Thanks for the great post! Looks so cool! Will definitely have to get for the kids! 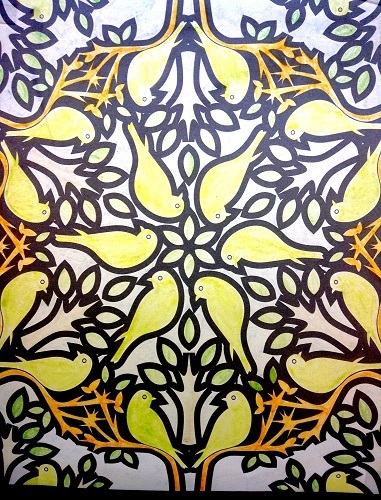 Love the patterns and it looks like there is no wrong way to color.